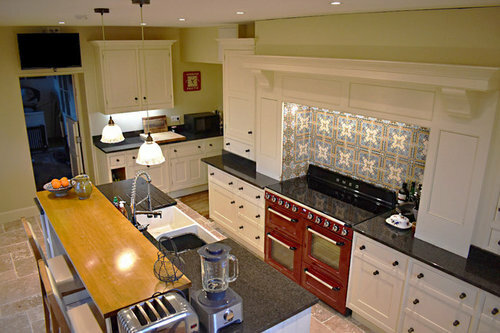 This delightful Smallbone solid wood kitchen was originally installed in 2005 for circa £70,000. It has now been installed into a new home in France for just under £8,000, with a now fresher look! In supreme condition – the kitchen has been exceptionally maintained and looked after. Featuring a wealth of pull-outs and storage options, the kitchen bears all the hallmarks of Smallbone’s attention to style and detail, from the ‘hidden’ drawers within the mantle, to the three tiered island and seating area. We would love to know what everyone thinks about the reinstallation! That looks amazing. I love country style kitchens, but to get all that for £8000 is incredible. Obviously there will be fitting costs etc to add on, but still such a good deal. That what you get when you invest in brand and quality. Looks brilliant! Good to see recycling and durability in action. I‘m slightly confused with the before and after photos though. Is it one and the same house? And is the ‘before’ photo maybe a ‘during’? @forzaitalia Thanks, they did get a cracking deal! E D it is a different house. The old one has a red Aga while the new is a gas range. Tiles behind range are different as is the floor. But almost identikit! Lovely though. 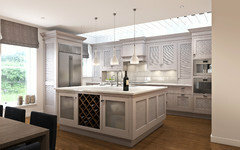 @FAIRFAX FLOORING, We agree, quality brand kitchens will last a long time! @E D Thanks ED! Yep forzaitalia is correct, the two photos are in different homes. Amazing! Did you manage to save the granite as well? and it was worth every penny. Smallbone it's a combination of quality, practicality and beautiful appearance. 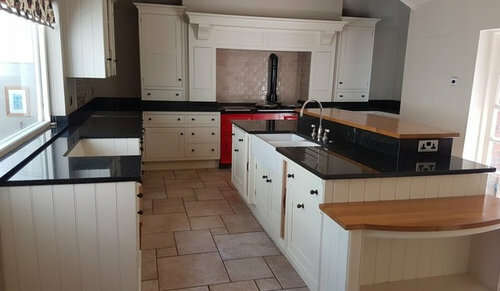 @J C, Yes this granite worktops were also saved! @Hampstead Design Hub Wow what a great kitchen!! We truly love Smallbone kitchens for all the reasons you mentioned above. Thanks for your comment and great to see how amazing that project turned out! Does anyone currently have or has owned a Smallbone kitchen? We would love to hear your opinions on the kitchen! Haven’t Smallbone gone bankrupt? A company who we deal with had them as one of their customers, debt remained outstanding as they no longer exist. Is this correct?